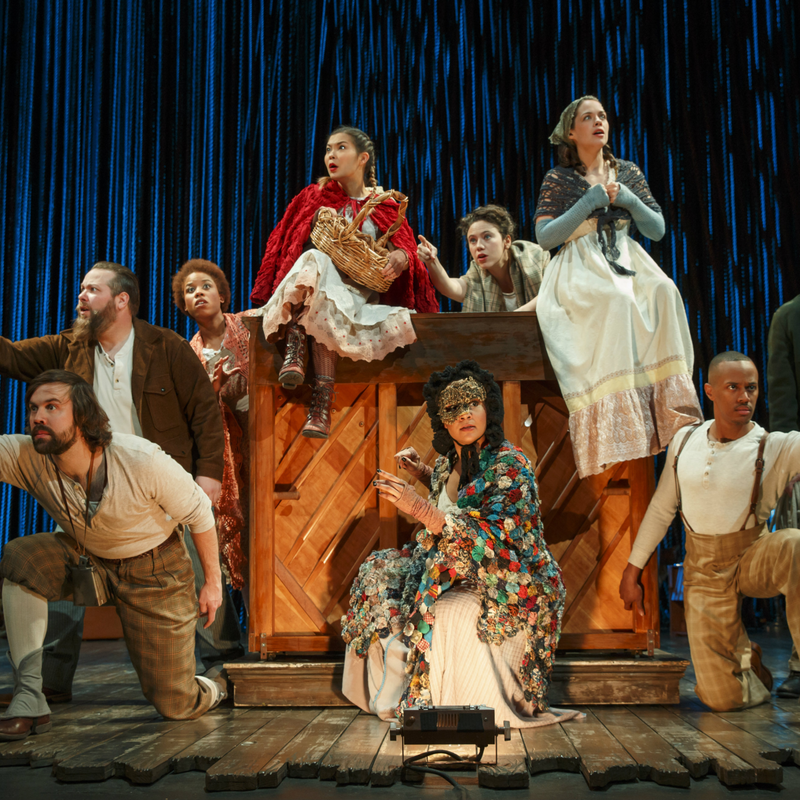 A lot of the marketing for Fiasco Theater's production of Into the Woods refers to it as "stripped down" or "bare bones," but in reality it's anything but. 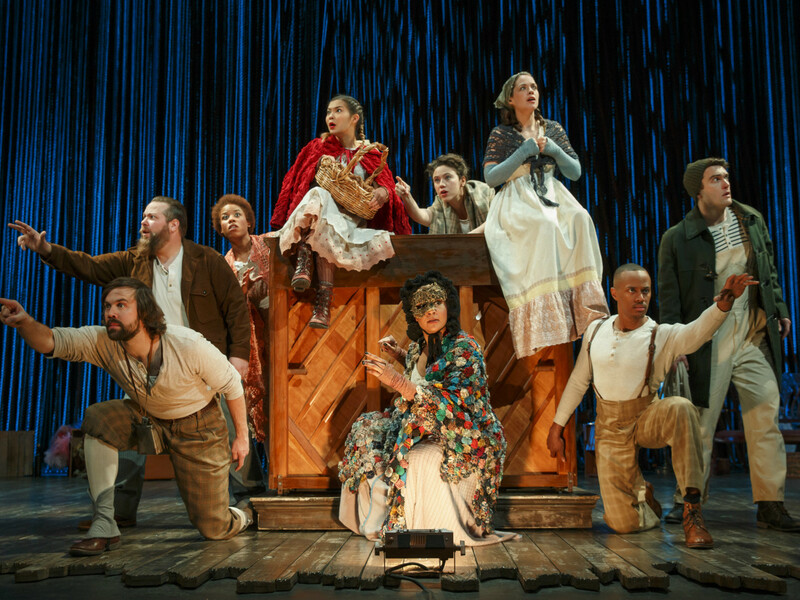 This immensely clever reimagining of Stephen Sondheim and James Lapine's dark storybook musical does away with cumbersome set pieces and elaborate costumes, but that doesn't mean the stage isn't still filled to the brim with complex ideas. 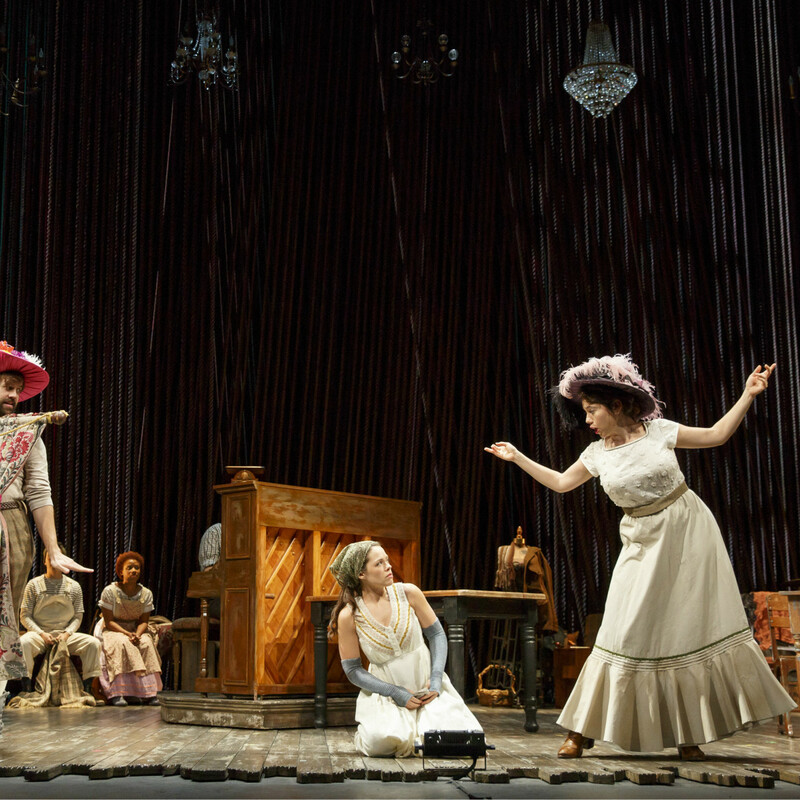 First produced at New Jersey's McCarter Theatre Center in 2013, and off-Broadway two years later by Roundabout Theatre, this production uses its audience's imagination to fill in the visual gaps — a rickety stepladder doubles as a tower, for example, or donning a cow bell instantly turns an actor into the heifer Milky White. It's not unlike reading a fairy tale, where your mind gets to make the magic. An amalgamation of traditional fairy tales, Into the Woods sends familiar characters on various quests that have intersecting paths. Little Red Riding Hood, Cinderella, Rapunzel, and even the nameless princes that pursue their fair maidens are all there, crisscrossing through a forest that's not so much enchanted as it is a catalyst for their stories. And though it may seem as though everyone gets their happily ever after, that's only intermission. 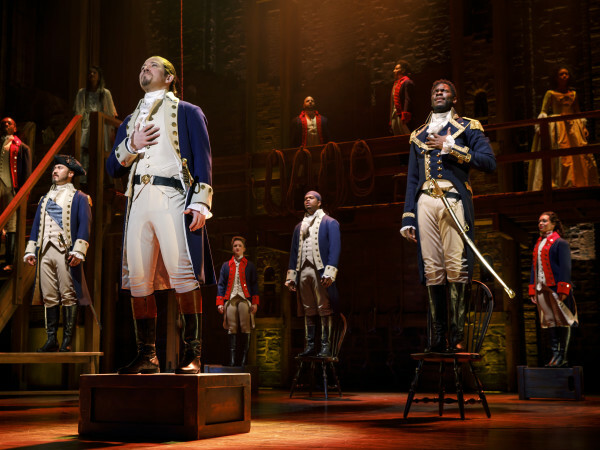 With a cast that's nearly half the size of its original Broadway counterpart, every single actor pulls double, triple, or even quadruple duty and beyond. 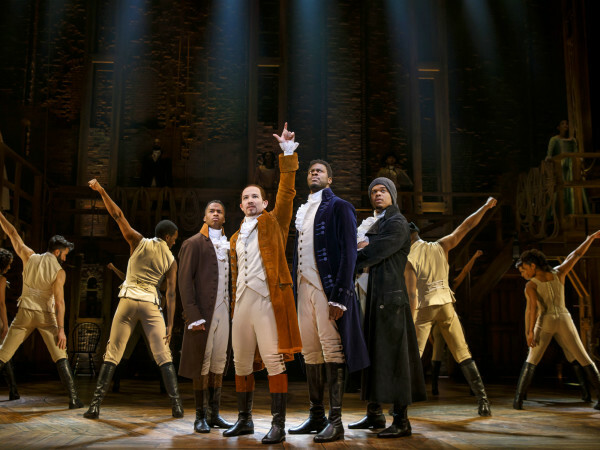 That's because they also comprise the show's band, picking up bassoons, cellos, trumpets, and other instruments to fill out Sondheim's intricate score. 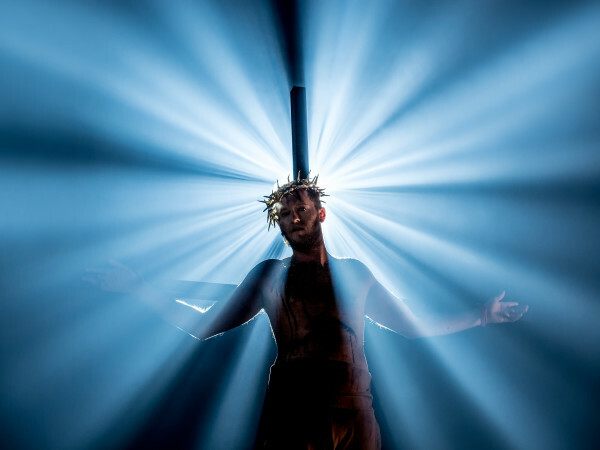 The majority of the music comes from Evan Rees, who tirelessly pounds away on a piano that gets moved to and fro across the Winspear Opera House stage. 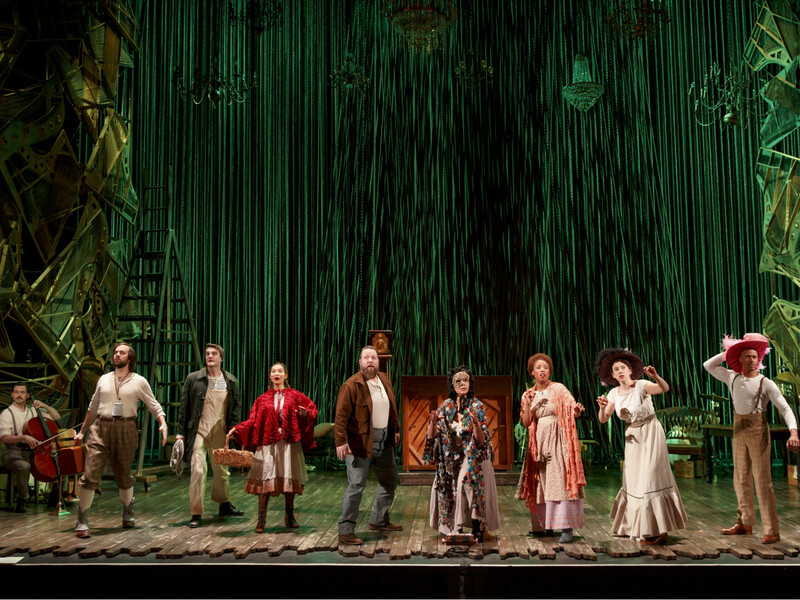 Derek McLane's set plays up the importance of that lone piano, with larger-than-life "strings" sprouting a forest in the back and various piano parts adorning the proscenium. His design, coupled with Noah Broady and Ben Steinfeld's direction, is why this version avoids feeling bare. The "junk" that seems to litter the playing space is put to endlessly creative use by a cast that hardly ever leaves the stage. They can't; they don't have time. 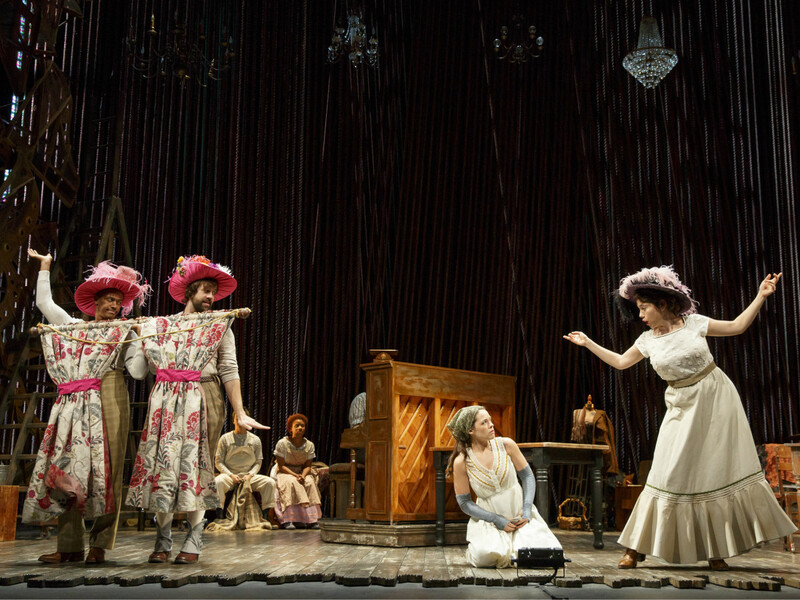 Slipping seamlessly between characters, often with nary a second to spare, the performers demonstrate an excellent command of Sondheim's demanding music and Lapine's quick-witted book. Only Patrick Mulryan, who primarily plays the beanstalk-climbing Jack, remains from the original production, but rarely will you see a cast so attuned to each others movements and inflections as this one. For that reason, it's foolish to try and single out any one performance. Just know that this troupe proves that when you strip away past frippery, it gets to the heart of a damn fine story. 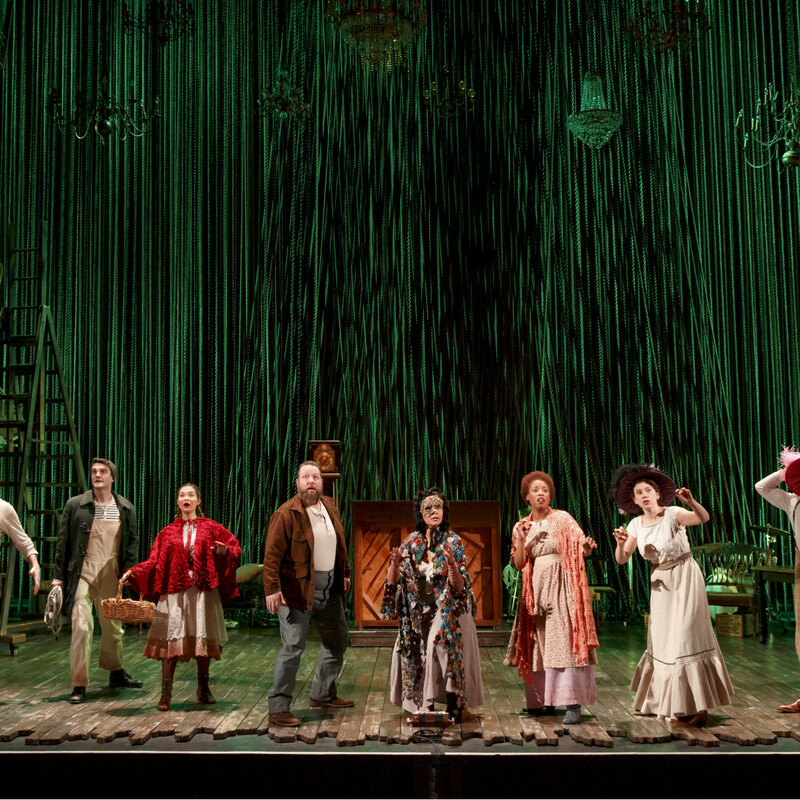 The Fiasco Theater's tour of Into the Woods runs through May 28 at the Winspear Opera House.